TS EAMCET 2019 Application Form can be filled till 28th April 2019. JNTU, Hyderabad will organize a common entrance test known as TS EAMCET 2019 (Telangana Engineering, Agriculture & Medical Common Entrance Test). It is a state level entrance test organized for admission in the various UG courses. Telangana EAMCET will be organized through online mode. Admissions will be offered to BE, B.Tech, B.Tech (Agriculture Engineering), B.Tech. (BioTechnology), B.Tech (FT), B.Tech (Diary Technology), B.Sc. (CA & BM) (MPC), B.Pharm. (MPC) and Pharm-D (MPC) courses. TS EAMCET 2019 Hall Ticket has been released from 20th April 2019. Here we are providing details about TS EAMCET 2019 including application form, dates, eligibility criteria, etc. TS EAMCET 2019 Hall Ticket has been released from 20th April 2019. Check here for hall ticket details. TS EAMCET 2019 Application Form can be filled till 28th April 2019 with late fee. Check here for application form details. TS EAMCET 2019 Exam Dates have been released. The examination will be conducted on 3rd, 4th & 6th May (for Engineering stream) and 8th & 9th May (for Agriculture stream). Check here for other dates. The university has released the TS EAMCET 2019 application form via online mode. Candidates have to submit only one application form for each category. Students can also visit their nearest TS online centre to fill the application. Candidates are able to modify or correct their application form during the TS EAMCET application correction period from 6th to 9th April 2019. Students must take printout of the filled application form as it will be required to submit to the invigilator at the exam centre. Payment can be done via online mode. Candidates can also pay the fee by visiting the TS online centre. The application fee is Rs. 400/- for SC/ST and Rs. 800/- for other categories (one stream). For both streams, candidates have to pay Rs. 800/- for SC/ST and Rs. 1600/- for other categories. 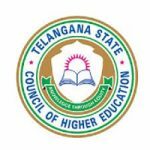 TS EAMCET admit card 2019 has been generated only for those candidates who have successfully submit their application. Students can download it through the website from 20th April 2019. Candidates are required to carry the hall ticket along with the printout of the filled in application form. Candidates have to affix a photograph in the printout of the application and it should be attested by any gazette officer. TS EAMCET is a state level entrance exam which is conducted for admission in BE, B.Tech, B.Tech (Agriculture Engineering), B.Tech. (BioTechnology), B.Pharma, etc. It is organized once in every year by the JNTU, Hyderabad. The registration process of TS EAMCET 2020 will be started from the third week of March 2020. Candidates must be an Indian Citizen or PIO/OCI card holders. Candidates must belong to Telangana/Andhra Pradesh and should satisfy the local/non local status requirements. For pharmacy & engineering courses, the minimum age limit is 16 years by the date of commencement of admission. For other courses, the minimum age limit is 17 years as on 31st December of the year of admission & maximum age limit is 22 years (25 years for SC/ST). For Engineering, B.Tech (DT, AG & FT): Candidates should have passed or appearing in 12th, diploma in engineering or equivalent exam with PCM subjects. For B.Pharmacy: Must have passed or appeared in 10+2 or equivalent exam with PCB subjects securing 45% (40% marks for reserved categories). Exam Mode: The examination will be conducted through computer based mode. Medium: The language of question paper will be in English, Telugu or Urdu languages (as applicable). Duration: The exam duration will be total three hours. Marking Scheme: One mark will be provided for each correct response. Negative Marking: No negative marking will be done for wrong answers. The TS EAMCET 2019 syllabus is in tuned with the syllabus of 12th exams (1st year and 2nd year) prescribed by the Board of Intermediate Education, TS. Students must prepare as per the official prescribed syllabus. Syllabus is different for engineering and agriculture/medical streams. Questions will be asked from physics, chemistry, mathematics, botany & zoology (as per the stream). Firstly, manage your time for TS EAMCET preparations, prepare a good time table and prepare accordingly. Along with the TS EAMCET books, students should also prepare from the previous year question papers. Also practice mock test, it will help you to analyze your performance. Before three to four days of the examination, students should revise all the syllabus. Do meditation and yoga, it will help you to concentrate in your studies. Question: How can I apply for TS EAMCET 2019 examination? Answer: Candidates have to apply online for this examination. Question: Which documents I have to upload in the TS EAMCET application form 2019? Answer: You have to upload the scanned images of photograph and signature. Question: I have done mistakes in the application form. How can I correct it? Answer: You can make correction/modification in the details filled in the application form during the correction period. Question: When will be TS EAMCET 2019 application form available? Answer: It has been released from 6th March 2019. Question: I have forgot my registration number. How can I get it back? Answer: Visit the login window and click on the “Forgot Registration Number” and follow the procedure to retrieve it. Question: What should I do with the “Filled In Application Form”? Answer: Affix a photograph in the given space and it should be duly attested by any gazette officer. Candidates have to bring this at the exam centre along with the hall ticket. Question: I am appearing in the 12th exams. Am I eligible to apply for TS EAMCET exam? Answer: Yes, appearing candidates can also apply. Click here to view TS EAMCET 2019 FAQs. Within a few days of the completion of exam, the university will release a provisional answer key. TS EAMCET 2019 answer key will be published via online mode in PDF format. The final answer key will be published along with results. The university will provide the opportunity to challenge against the answer key. Students can submit their objections via online mode. Students will have to pay Rs. 500/- for general and Rs. 200/- for SC/ST students to challenge against the answer key. After the completion of exams, the TS EAMCET results 2019 will be provided to students via online mode. It will be announced in the fourth week of May 2019. Candidates will be able to check their result by entering registration number, qualifying exam hall ticket number and date of birth. A merit list will be prepared as per the marks obtained in the entrance test and qualifying exam. 75% weightage will be given to marks scored in the entrance test and 25% weightage will be given to marks obtained in the physics, chemistry and biology/mathematics subjects of the qualifying exam. The counselling process will be organized through online mode. TS EAMCET 2019 counselling will be organized separately for MPC & BiPC streams. Counselling process will comprises of three major steps, i.e. certificate verification, choice filling and seat allotment. Candidates have to bring their documents in original and their photocopies for verification. Once a seat is allotted, candidates have to download the allotment letter through the website. After that, candidates have to report to the allotted college as per the schedule and instructions provided in the allotment letter. If you have any other queries about TS EAMCET 2019, you may leave your queries below. If I’m not a candidate of telengana and i have a domicile of rajasthan than am i eligible for tsmcet? You can apply as non local of Telangana/Andhra Pradesh. You can apply as non local candidate. Last date to apply with late fee (Rs.1000) is till 17th April 2019.
sir i mistakenly entered my inter hall ticket number in the payment section wrong.i want to know that is there any chance to correct my hall ticket number.please reply as soon as possible. Try again there might be some server issues. If it still occurs, then contact officials regarding the discrepancy. I belong to Assam and my education is also i Assam can I apply as non local candidates for merit catagory. sir i belonged up.i apply this form????? Sir, Iam from U.P Kanpur.As iam appearing 12th PCB,CBSE SYLLABUS IN u.p 2019.Iam basically from TS. Can I apply for EAMCET. You can apply if you fulfill the local eligibility status requirements as set in Telangana or Andhra Pradesh. Sir,I am basically from retired Army’son & totally education is completed from Army Public School Bolarum, Secunderabad.I started my education from Army Public School Bolarum,i,e from class I to Class 12th standard since 28 April 2007 to 31 March 2019. Now my information required is, how to prove my Local status & what are the certificates required to be filled local status? Sir! If I get 85 + marks in EAMCET. And I have 88% in intermediate would I have a chance to get a seat in Gokaraju Rangaraju Institute. Sir I AM From UP Can I Will Be Able To Apply For This (TS EAMCET) Entrance Exam? But I want to apply for TSEAMCET.Can I apply? Sir I am mpc student may I eligible for veterinary. Can long term students can apply for eamcet 2nd time. Is TS EAMCET and AP EAMCET exams are same of different ? How to apply for MBBS entrance exam? TS EAMCET 2019 exam is not conducted for MBBS. Can i apply for tseamcet. you can apply if you satisfy the local/non local status requirements. Check eligibility. Sir I’m not from telangana but I want to apply for eamcet. Can I apply? No other state candidates are not eligible to apply. I’m malathi sir, My date of birth is April 13,1996!! Can I apply for this exam ? It is mentioned in the article. I’m a local citizen of telangana state, but all my documents & results are from another state. Will i be eligible to seat on TSEAMCET 2019???? Thanks for your large amount of information in this website. Sir, how much time will be given if original certificates could not be produced. Is I am eligible for exam? Sir ts eamcet will be there or not at 2019 for bipc students? It has closed for 2018 and not stared for 2019.
can you mention courses belonging to the B.P.C students? Sir,ts emcet is there or not At 2019?